Pacific Honda Blog: Honda Running Autonomous Tests in "Ghost Town"
One way that the Honda process of testing these autonomous vehicles is different from other companies is that they actually purchased a five-acre “ghost town” in California to put their self-driving automobiles to use. Here at Pacific Honda, we always appreciate that so much technology comes from our home state, even if San Diego is a far cry from the San Francisco suburb of Concord, where these tests are occurring. A decommissioned part of the Concord Naval Weapons Station that once served as home to military personnel, this unoccupied small swath of city allows Honda to teach cars how to stop at stop signs, avoid pedestrians, and even drive around a mannequin standing in the middle of the road. 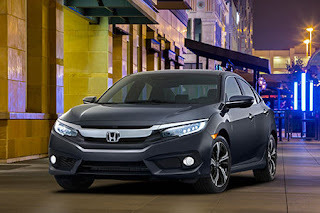 While it’s not a perfect system it will go a long way toward helping to get these vehicles to Honda dealers all over the country in packages that are both safe and convenient for customers. It’s exciting work, and we can’t wait to see how it all turns out.